We are bombarded with adverts for various mouthwash products every single day on the television. Just like body odor, having bad breath has become a fanatical modern worry. That’s why shop shelves are stuffed full of expensive mouthwash products. Many of them are also unfortunately full of artificial ingredients that you can’t even pronounce. Next time you’re shopping, take a look at the list of ingredients. The amount of additives, flavorings, stabilizers and colorants can be quite shocking. So what’s the alternative? Surely there has to be an easier way to get better breath and keep your mouth in good shape. Well the great news is that you can make your own homemade mouthwash, which contains all the key active ingredients of off-the-shelf products, but for a fraction of the cost and much more safe. Having said how awful the industrially produced solutions are, you have to ask the next question which is why do they make them taste and look that way in the first place? The reason is that people associate certain colors with cleanliness and medicine. They also like certain tastes and feelings. It’s conditioned from what we are used to. So any diy mouthwash has to emulate this. It must taste and smell fresh, preferably minty. 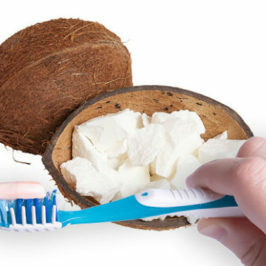 You could try other taste combinations, but most people don’t associate those with cleaning their mouth and teeth. It must not taste sour. It mustn’t taste sweet either, but an ever so slightly sweet taste is preferable to something that leaves you feeling a bit sick or is unpalatable in the mouth. If possible it should be able to whiten the teeth as well. This is one of the harder parts of the natural mouthwash to achieve because you are reliant either on abrasion or a chemical that bleaches the top layer of your teeth. 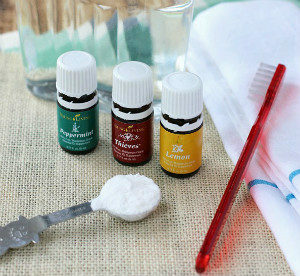 Cavity protection is something else that you should try and build into a homemade mouth wash. 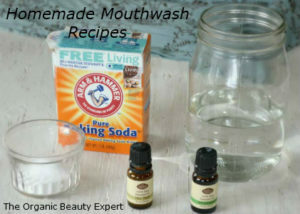 So now we know the requirements of making a great organic mouthwash, and what we are trying to avoid, let’s look at what I think are three perfect diy recipes. For me this recipe will achieve the goals I laid out previously. It tastes nice, as a mouthwash should and it can protect against cavities, while having a slight whitening effect. And the great news is it’s incredibly cheap to make. In a mixing bowl thoroughly stir the stevia and calcium powder together. Add the liquids to the mix and thoroughly blend. Transfer the solution to a good quality glass bottle and shake thoroughly. You can now use the solution once or twice a day as needed, just make sure you shake the bottle each time. To create this home-made mouthwash, simply add all the ingredients into a bottle and shake thoroughly, it’s that simple. If you want a slightly sweeter solution, add a drop or two of liquid stevia to taste. The key ingredients here are the aloe vera juice, which can reduce inflammation and bleeding of the gums, and the baking soda, which can help to neutralize acids that cause bad breath. This recipe may sound horrible, swilling mouth out with vinegar is not a great idea you might think. But apple cider vinegar is actually added to a lot of commercial oral products because it has antibacterial qualities, so let’s put them to use. To create this oral rinse, simply add all the ingredients straight into a bottle, and shake to dissolve everything thoroughly. Xylitol is a natural sugar alternative. It’s great as a mouthwash sweetener because bacteria in your mouth cannot feed off it. So it’s a great alternative to Stevia if you can’t get hold of that. As with the first recipe, this contains calcium carbonate, which is a natural abrasive. This will help with the whitening effect on your teeth. 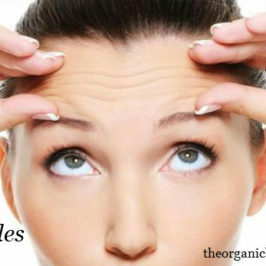 Benefit From Additive Free, Natural Mouthwash! As you have already seen a lot of these ingredients are common to the three recipes I have put together. 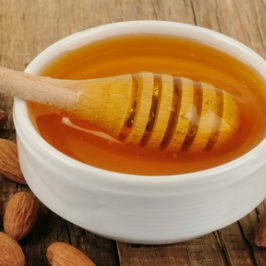 But there are literally dozens of other ingredients you can use, such as Glycerin for sweetening, as it does not allow bacteria in the mouth to feed off it, and it does not raise blood sugar levels. You could even try adding up to 3% volume of hydrogen peroxide solution. The FDA allow up to 3% hydrogen peroxide in commercial mouthwash products, so you could take advantage of that if you want enhanced cavity fighting ability. At the end of the day as long as you choose natural ingredients that are proven to help, it’s really easy to design your own blend. The key point is that it has to freshen the mouth, have the ingredients that can whiten teeth, prevent cavities and fight bacteria.